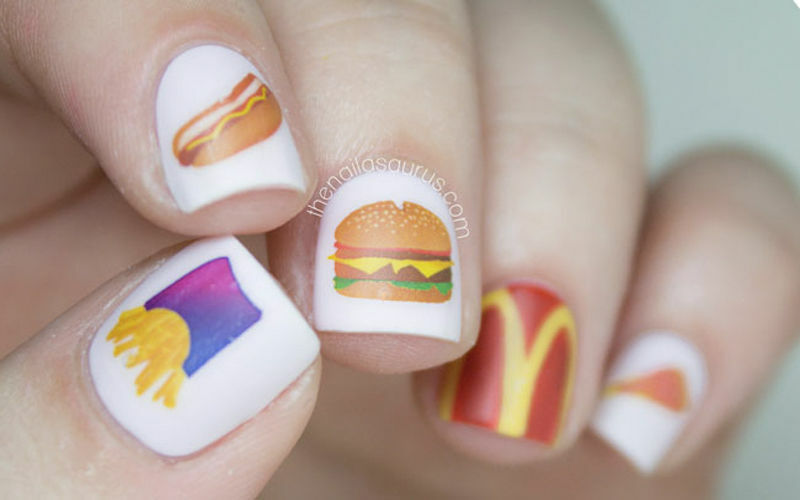 Easy to follow homemade manicures are a great way to give your nails a salon-worthy makeover and these fast food nail decals take inspiration from popular meal items. 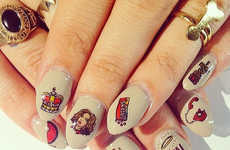 Beauty blogger Nailasaurus recreates dishes such as pizza and hamburgers explicitly using polish. 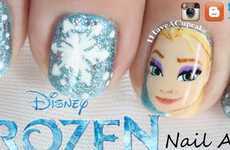 It takes a patient and steady hand to recreate detailed images of food items on each individual nail. 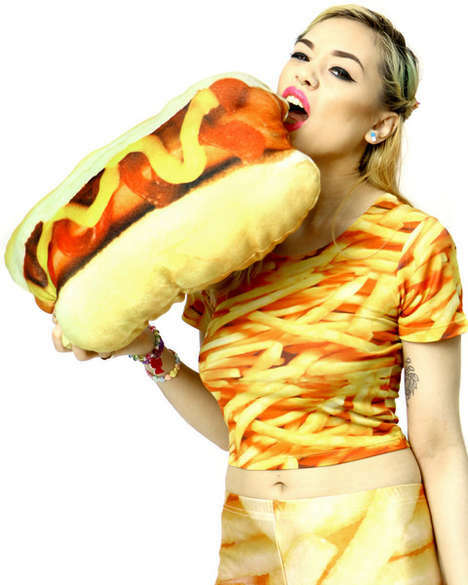 Nailasaurus teaches you how to use fine tip nail brushes and a wide variety of colors to recreate boxes of fries, hot dogs, cheeseburgers, pizzas and even McDonald's famous yellow golden emblem with nail polish. These nails would be fun to wear and show off what some your favorite fast food items are to your friends. 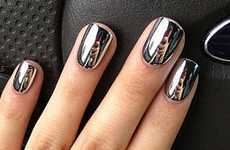 You can switch up the nail designs to suit your individual food tastes and change them up weekly.